Nebulizing glutathione is another affordable way to load up on the magic-bullet supplement of glutathione. It’s a bit noisy, but I like it because you can do other things while you’re nebulizing. And it feels soothing if your lungs are bothering you. Just as the technique for making DIY liposomal glutathione can be used for making other liposomal supplements, so can you nebulize all sorts of things. The lungs are a permeable barrier, which means they can transport things into the bloodstream. It is suggested to use saline solution in your nebulizer, which makes this glutathione product isotonic. I have not used saline yet, just filtered water, and it still helped me feel better. But I plan to use saline solution next time. The directions say use one capsule in your nebulizer. Last time I used two due to smoky air from area fires and it definitely helped my lungs feel a lot better. 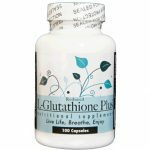 You can also make your own glutathione for nebulizing with the bulk glutathione and sodium bicarbonate.